We are located at 131 Old Granville Road, Upper Granville, Nova Scotia Canada B0S1A0. (Please use the map below as some GPS may take you to Annapolis Royal). Take exit 20 Bridgetown/Upper Granville. Turn right on Chute Road, first road on the left in front of the house. There is a red sign out front. of the barn if road way is clear. 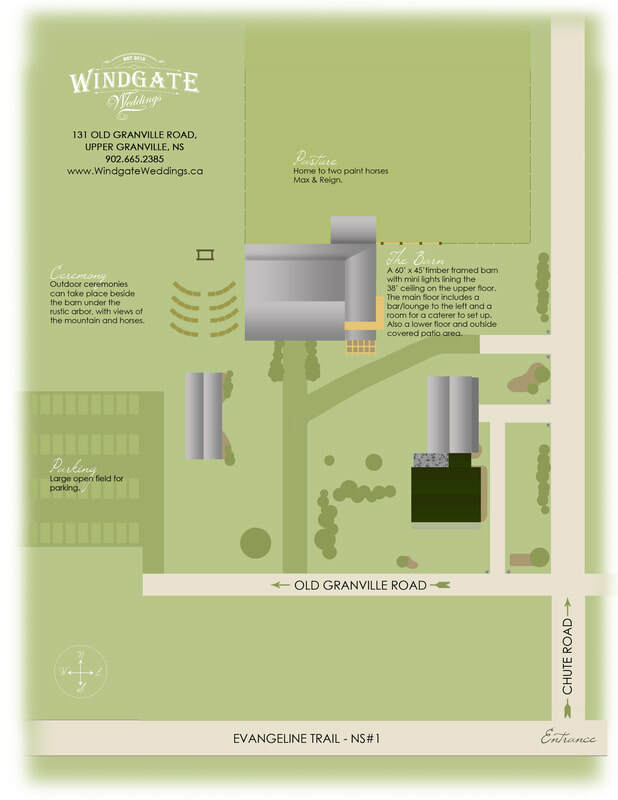 ~ For Weddings & Other Events: Parking is located at the end of Old Granville Road. Please keep the front of the barn open for unloading and emergency purposes & the side of the barn for pictures. (See below) No parking on the grass by the barn. Please allow 48 hours for a reply, if you don't hear back from us please check your junk folder and add us to your safe senders list.